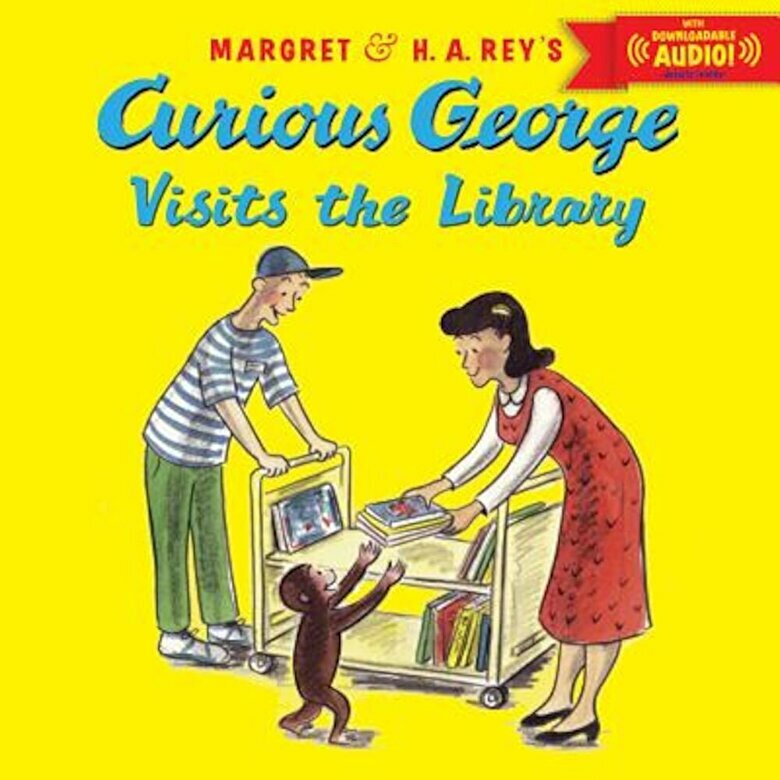 Prezentare It's George's first trip to the library and he can't wait to hear the book the librarian chose for story hour But it's hard for a little monkey to be patient, even when the librarian is reading a story about bunnies. George likes bunnies, but when he spies a dinosaur book on the table near the story circle, he has to have it Now he sees a cart he can push along and he adds a book about elephants. And one about boats, and kites, and baking cakes . . . Will this book-happy monkey turn the library upside down to find the perfect story?